Taian Bowins Garment Co., Ltd. is located at the foot of the famous Mount Tai, located at No.211 Chuangye Street Taian City, Shandong Province China. We are a professional manufacturer that specialized in outdoor functional clothing since 2007. 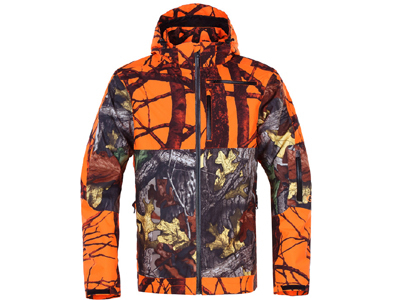 The main products include: hunting wear, military wear, security wear,high visibility safety wear, ski wear, riding wear, motorcycle wear, sports wear, uniform, also casual wear, such us jackets, vest, shirts and pants, tees, sweaters etc. And also we supply customers some accessories that they need, like headwear, caps, and gloves. Company's products to the United States, Germany, UK, France, Sweden, and neighboring European countries as the main market. The company has always adhered to the "good faith, quality first" business purpose, to some outdoor perennial American and European brands do OEM orders, such as BANDED, MACK’S SPORT, TCM, C&A, KAPPA , IXS, BERING, KIABI, TOE etc. Now number of company employees 200 people, the company exports all kinds of clothing about 10 million US dollars one year. We have a strong technical team including experienced technicition and sewing workers to support customers developing clothing samples exactly and quickly. We are not only focus on quality and delivery to customers their primary needs, we are service solution providing company, not only cooperation relation with them, also partner, we do what market need we do, and our goal is making customer satisfied and successful. We look forward to working with customers same values, trust each other, and growing together.